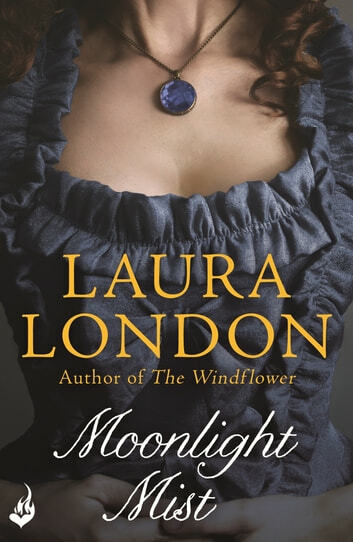 For fans of Julie Garwood, Jude Deveraux, Loretta Chase, Johanna Lindsey and Kathleen E. Woodiwiss comes a classic novel about a reckless girl, a notorious rake, and the rollicking scandal that brings them together - for better or worse, from acclaimed author Laura London. Known as the 'naughtier twin' of Downpatrick Hall, Miss Lynden is far more brash and adventurous than her sister Lorraine. After flying a kite into a tree and climbing out onto a branch, she is saved from a terrible fall by Lord Justin Melbrooke, who pulls her through his open window... and into his bedroom. It's all quite innocent, of course. But when an unannounced visitor walks in - and sees Lord Justin untangling Lynden's skirt - there is only one way to salvage her reputation: marriage. In a whirlwind ceremony, Lynden finds herself exchanging vows with one of England's most sought-after bachelors. Neither one is truly ready to settle down, but their heated words soon turn to heated kisses, and their marriage of convenience may just turn out to be the match of a lifetime.